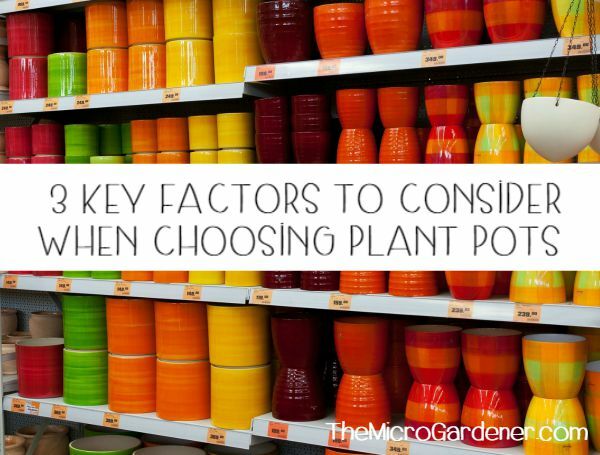 Faced with a sea of choices, if you select the wrong pot, you can waste money, time and even damage your plants. There are three main features to consider when choosing containers. 1. Drainage 2. Porosity 3. Weight. These and other important factors, can help you avoid making costly mistakes like waterlogged or dry soil that kills your plants or broken pots in windy spots. It may save you a lot of heartache later, by taking into consideration how porous and heavy a pot is, as well as its drainage characteristics. Whichever container you select, it must have adequate drainage holes. Healthy plants not only need room to grow, but also adequate oxygen for the roots. Excess water must be able to escape or plants will drown. If your potting mix smells sour, this could be the problem! Porous containers such as those made from unglazed terracotta or clay, timber, paper pulp and other natural materials allow moisture and air to move through them. What are the benefits of materials that ‘breathe’? They allow air to circulate around plant roots. As the moisture evaporates out the side of the pot, it cools the soil and helps draw excess water, preventing root rot. 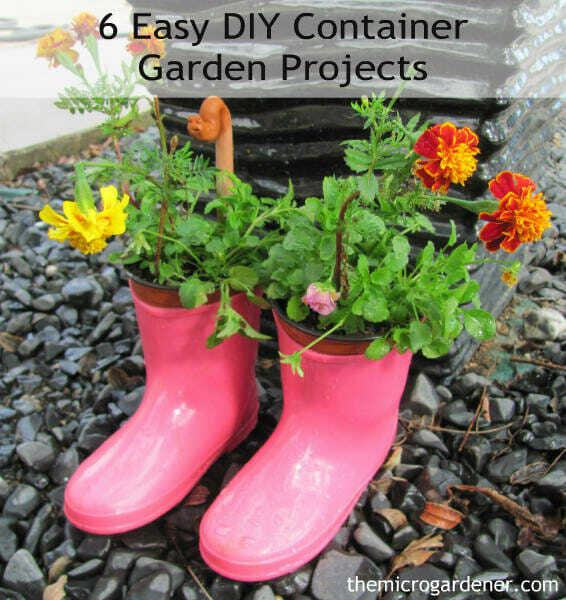 These containers dry out more quickly (especially in full sun) and so does the potting mix. 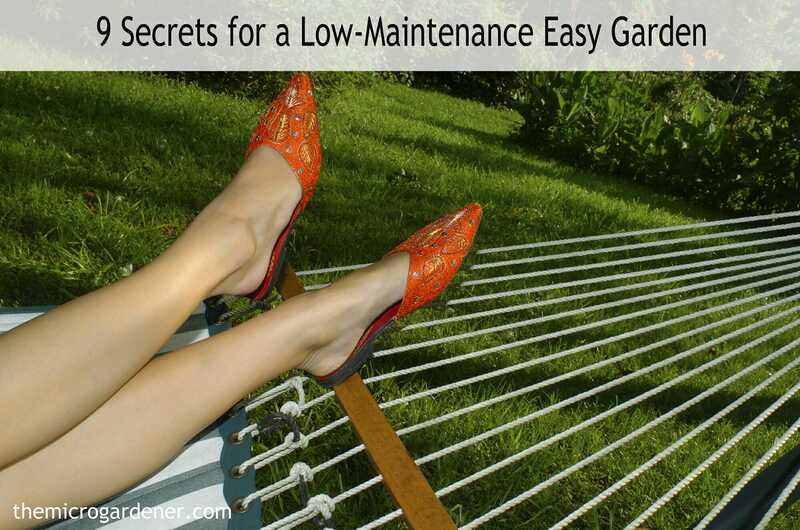 This can lead to plant stress or death if not watered regularly. 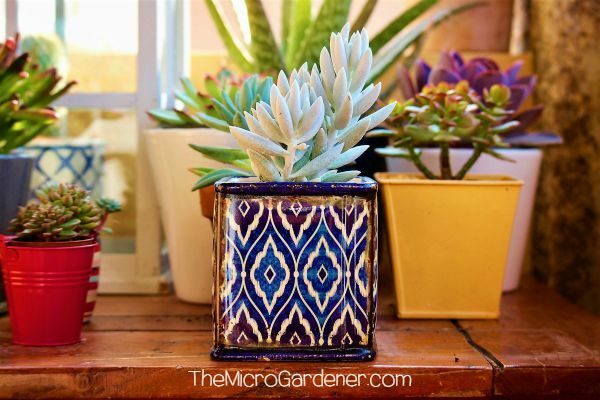 These pots need watering more frequently than non-porous materials like ceramic and plastic. Moist soil gets very heavy when wet. If you choose a heavy container, this will make it harder to move it around. 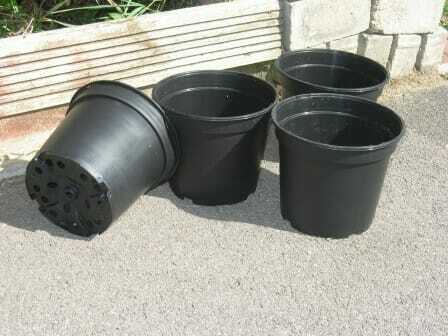 It’s advisable to consider the total weight (soil + pot + plants + water) of each container. This is really important if you are gardening on a balcony or deck. You may need to consult an engineer to find out if the structural capacity can handle the additional weight. If mobility and changing the look of your garden on a regular basis is an important consideration, select containers made from lightweight materials or put them on castors before you plant them out. If you have limited sunlight, pot choice is extremely important. Mobile pots can take advantage of sunlight as it moves, but not if they’re too heavy! However, if you want stability in a windy or exposed position, then a heavy container may be a more suitable choice for top-heavy or tall plants. A sturdy pot can reduce the risk of winds blowing them over and damage. If a plant becomes top heavy and soil dries out, it becomes more likely to blow over and become damaged in a windy area. 1. Aesthetics: Colour, shape, size and ornamental value. Durability and aesthetics are two advantages of ceramic pots. 2. Cost and Time: Depending on your budget and time, you may choose to reuse or recycle containers rather than the convenience of buying new. Many people prefer to use pre-loved or repurposed containers or pots rather than buy at full retail cost. You can save money, extend the life of an object rather than throwing it away and add character to your garden with a little creative thinking. 3. Food Safe: Some materials like plastics and metal can leach chemicals into the soil. 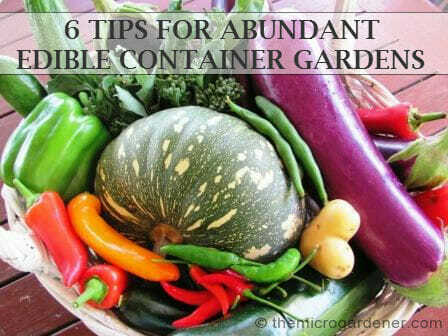 So you may also want to select your containers very carefully if you plan to grow food. 4. Maintenance: If you want low maintenance pots, consider a material that doesn’t need restoring from time to time such as wood. Wooden containers may need to be treated annually with a preservative or stain to retain their appearance and prevent deterioration in the weather. Using such chemicals adds to the overall cost and can be a health hazard, especially if you are growing food. However if you love a rustic or earthy look, want to grow ornamentals and have the time, then these may not be issues for you. 5. Durability: The length of life depends on the quality and type of materials used and where the container will be located. Think about whether you only need a temporary container or one that will last for longer. 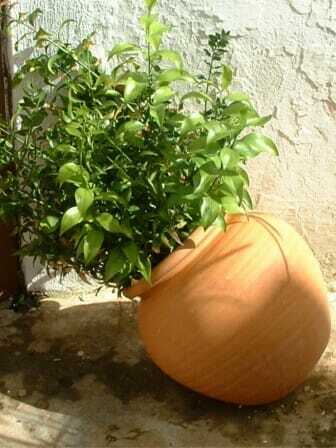 More durable pots may cost more initially but be worth the investment. Full sun may deteriorate poor quality or cheap plastics very quickly, making them brittle. 6. Insulation properties: How quickly a container heats or cools can play an important role in pot selection. 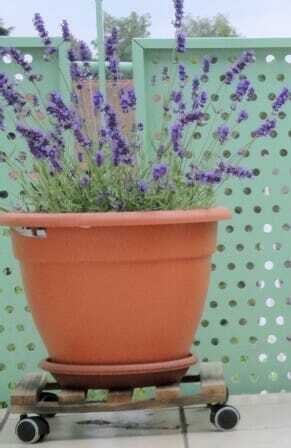 In cool weather, consider selecting a pot with good thermal properties in a dark colour to attract heat. This may be an advantage to protect vulnerable roots against frost and help extend the growing season by keeping the soil warmer for longer. In hot weather, dense containers like polystyrene boxes help provide a buffer against the heat. 7. Environmental issues: Safety, sustainability and ethics of materials used. If you are not sure if the materials used in a product are safe, then ask for a Material Safety Data Sheet from the retailer or manufacturer. This provides a list of chemical treatments used and the health risks (if any). 8. Portability: You may choose a heavier pot if you are unlikely to move it. A lightweight one is a good choice if you want to bring it indoors occasionally, protect it from the weather or pests, or just change the look of your container garden from time to time. A trolley with castors is ideal if you want to move a pot around, especially if you have limited sunlight. 9. Buy Local: Consider the impact of transport and production processes in your decision. The further a pot has travelled from its place of manufacture, the bigger the impact on the environment. Transport involves use of petroleum which contributes to pollution, the greenhouse effect and depletes non-renewable resources. Ask your retailer where the pots are made. The type of energy used to fire a pot generally depends on where the pot is manufactured. Ceramic pots for example, are fired using gas (least damaging), coal or wood/rice husks (most damaging). 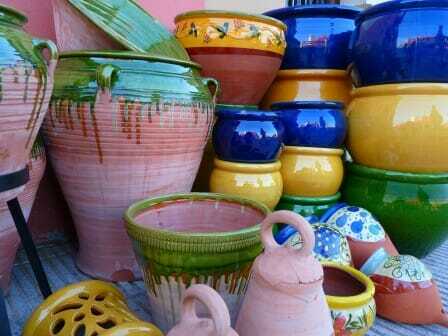 Italian pots are usually gas-fired high quality terracotta. Pots made in Malaysia are gas-fired, fully glazed pots with raw rims. Pots from China are usually gas-fired and fully glazed but coal and oil are used in their manufacture. Indonesian pots are generally unglazed and wood fired (using wood and rice husks). Ideally, buy from your country of origin and locally made if possible to reduce the environmental impact. To help make the decision easier, you may also want to consider some of the pros and cons of various types of pots and containers or visit Container Gardening. © Copyright Anne Gibson, The Micro Gardener 2010 – https://themicrogardener.com. All rights reserved. I have recently been very excited about gardening, even though I’ve never done it before. I appreciate your advice to choose pots that are black so that in the winter, they can attract more heat. The color of a pot is something that I’ve never considered before! Thanks for bringing to my attention the importance of considering maintenance when buying a pot for plants. I was thinking it would be fun to have some planters around my patio with various plants and flowers in them, so I’ve been looking into what kind of containers to buy. I’d like something decorative, but I’ll make sure to take maintenance into consideration before I purchase anything.